Since: Pretty sure I started before Kytta Kat was born, 2000 or so. 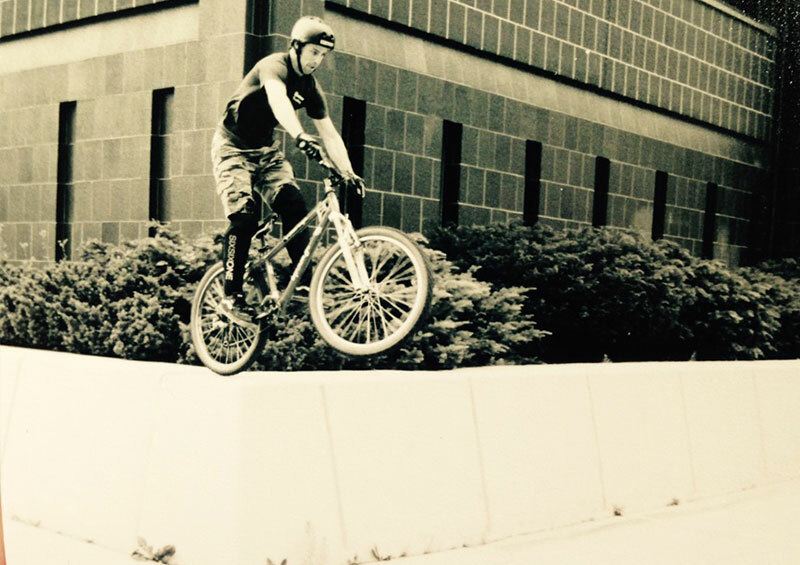 First shop job was 1995 at Kinetic Systems Bicycles. What is your other Other job(s)? Favorite place to ride at home? I enjoy a nice ride down Art Sharp which people unfortunately have renamed the Flow. Favorite place to ride outside of Marquette? Bend Oregon or North Crack-a-lacka raise up. I eat a lot of pizza, but no onions. I also enjoy taco bell. Coffee, Tea, or MTN Dew? No coffee, Chai tea, and MTN Dew was made from Unicorn Tears. Flat Repair or a bottom bracket repack. If you aren’t working where are you? Probably walking Murphy, hanging out with Sawyer, holding Samuel, squeezing a trail ride in, or dual sportin.